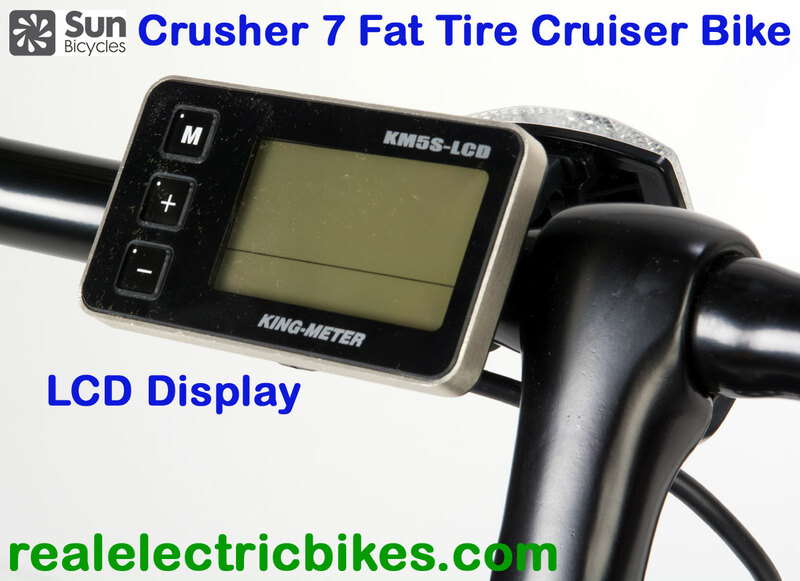 The perfect Beach Cruiser e-Bike - arrive in style! 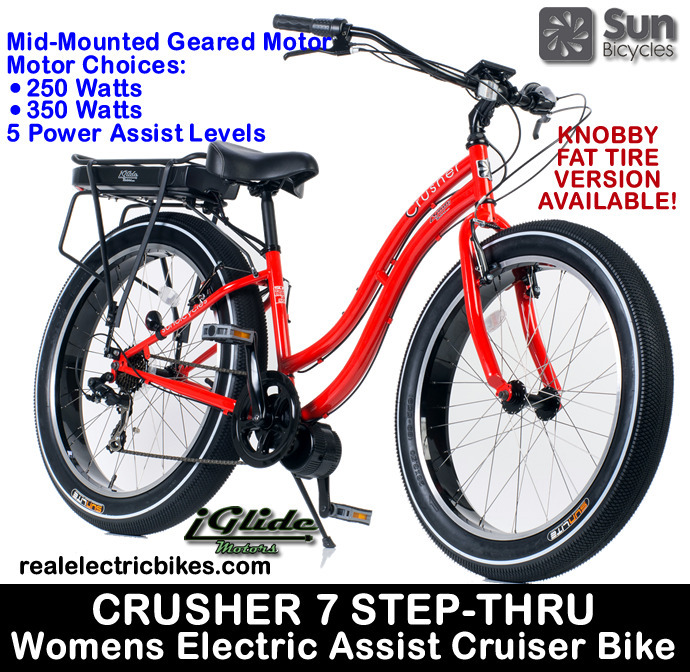 The Sun Crusher 7 is a super comfortable beach cruiser with laid back handlebars, fat tires and comfy elastomer suspension seat. 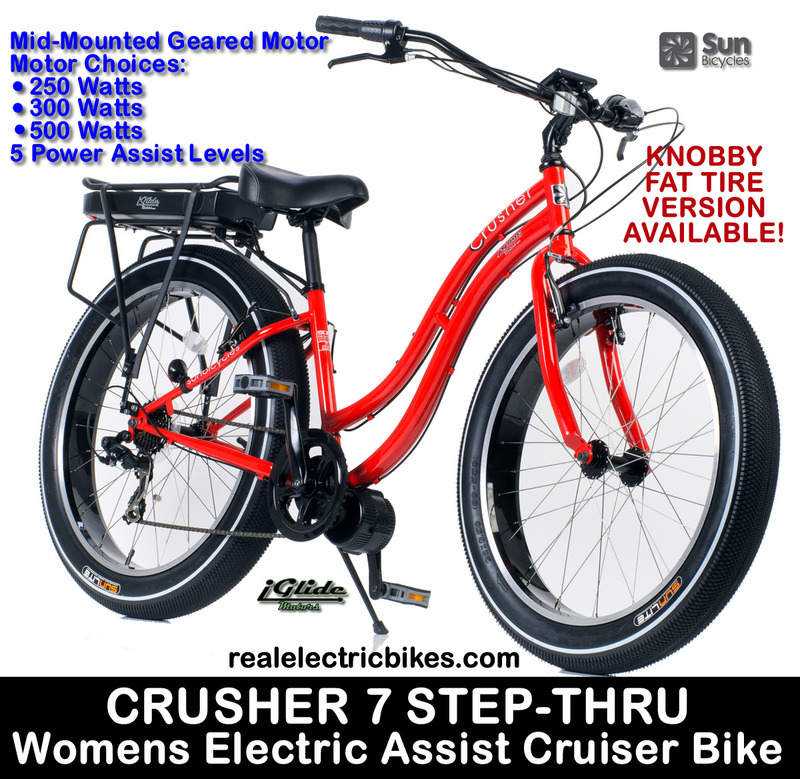 Women's Step Thru with 2 colour schemes to choose from: Gloss Red/ Black Rims or click here for the Ultimate Yellow / Blue Rims version. 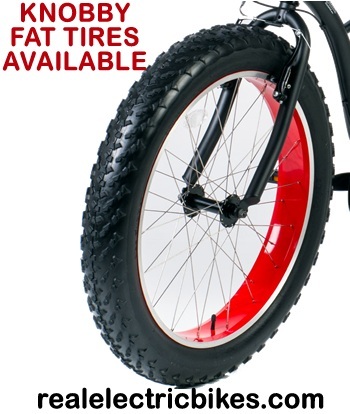 $150 and up depending on your tire choice. 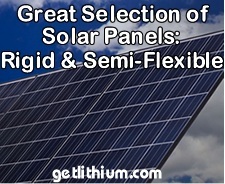 Coupled with your choice of mid-mounted Lithionics iGlide Electric Motor System, you can spend more time relaxing. 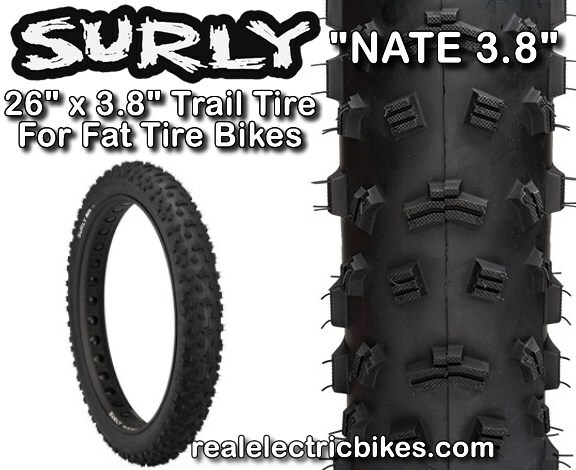 Many upgrades and accessory parts such as lights and fenders are available - click on the "E-BIKE PARTS etc." tab above. 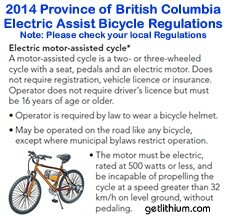 32 kmh with electric assist. 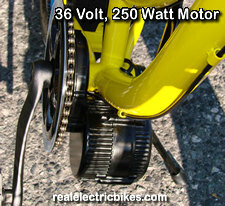 Higher speed under pedal power. 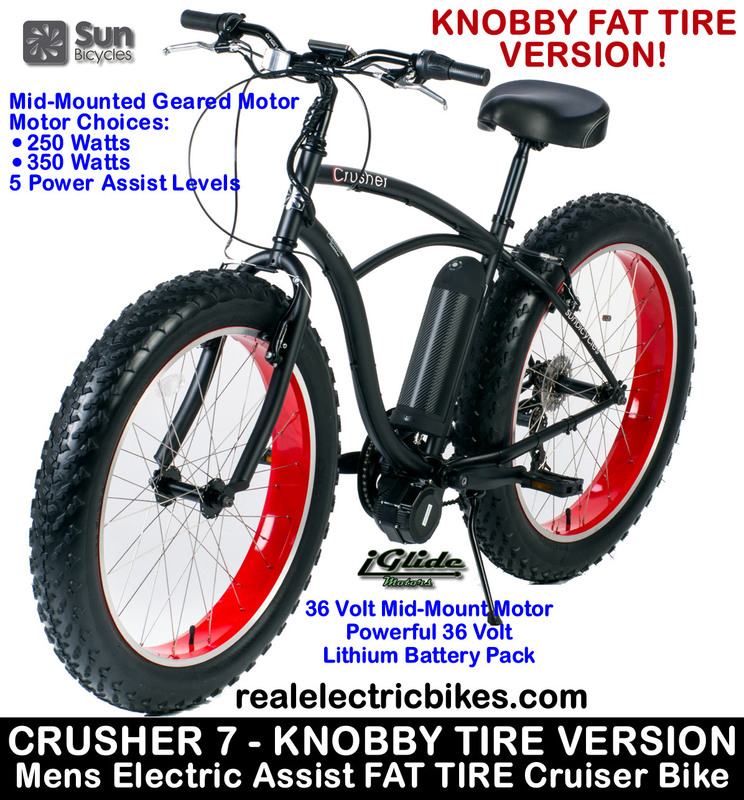 *Price is for In Stock e-Bike. 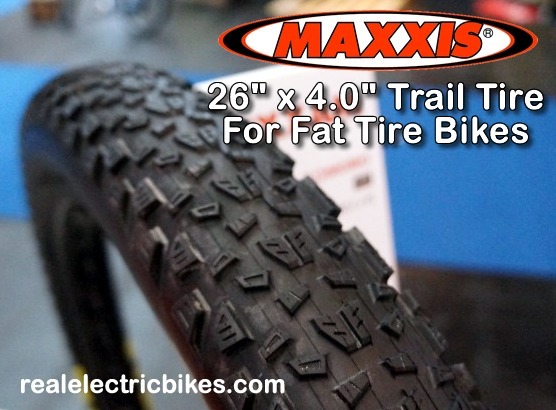 Price does not include additional freight/ shipping. Please use Currency Converter tool for your local Currency. 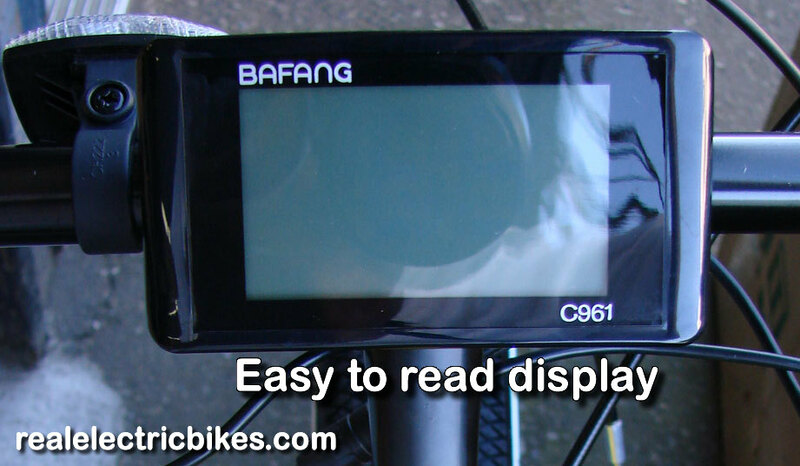 Distance per charge is determined by rider weight, rider input, wind and terrain. 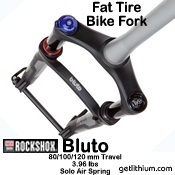 Fork: 1-1/8' Hi Tensile Steel, Curved Tapered Legs, Double Eyelets. 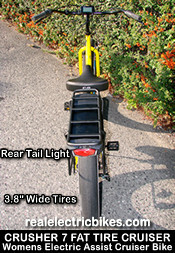 Pedals: VP 875, Slip Resistant Top, 9/16"
Bike Weight (w/o motor/ battery): 44lbs. 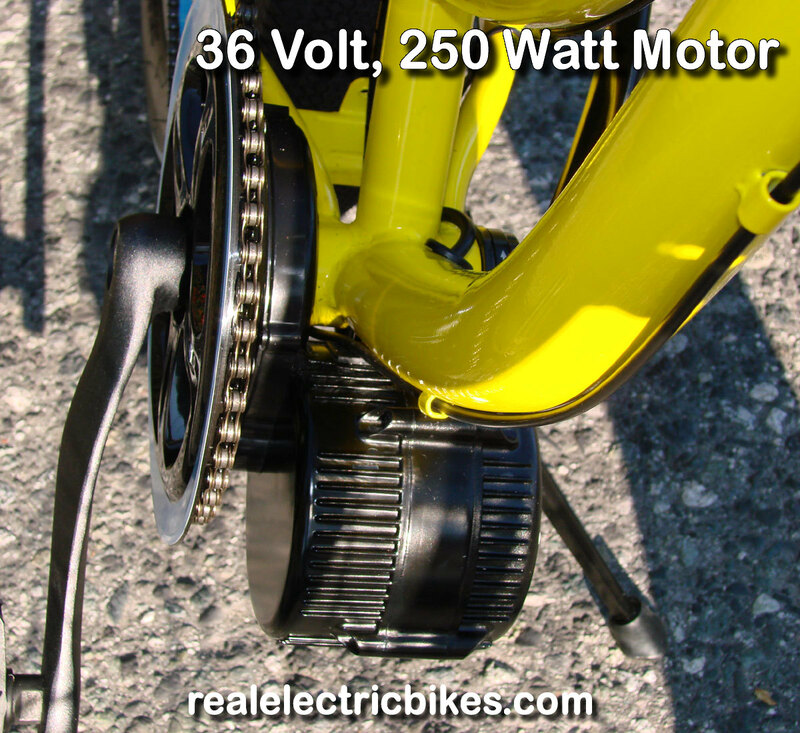 The geared electric bicycle motors are typically more efficient than the direct drive motors. 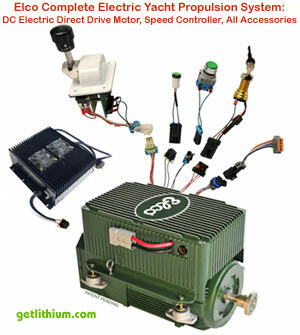 Typically do not last as long as direct drive motors but can be rebuilt easily. Can "freewheel" when the rider just wants to ride without power assist. 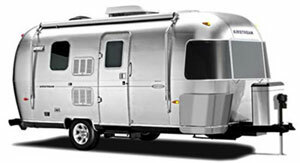 Higher torque than direct drive motors. 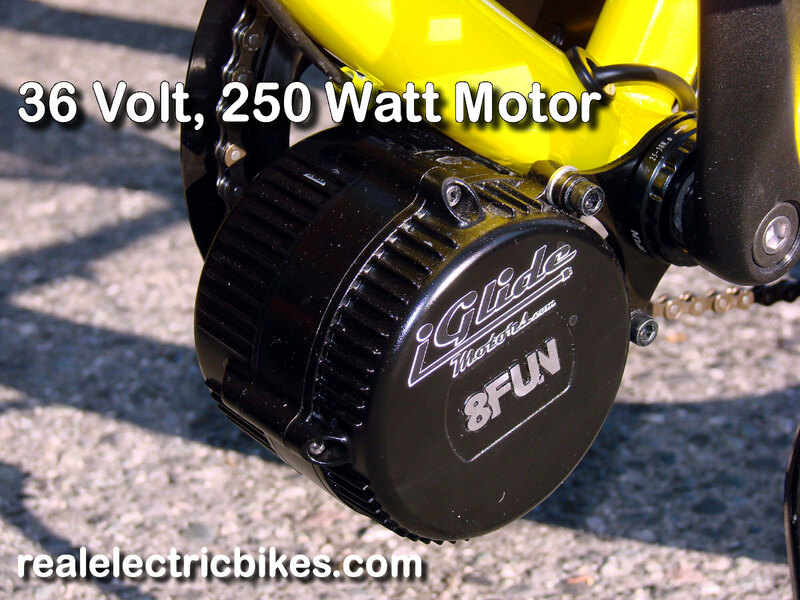 Higher torque motors are better at climbing hills and faster acceleration. Typically last longer before needing rebuild. Do not use brushless motors. 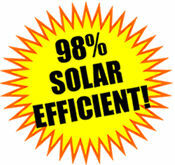 In general, a 500 Watt direct drive motor is equivalent to a 350 Watt geared motor. 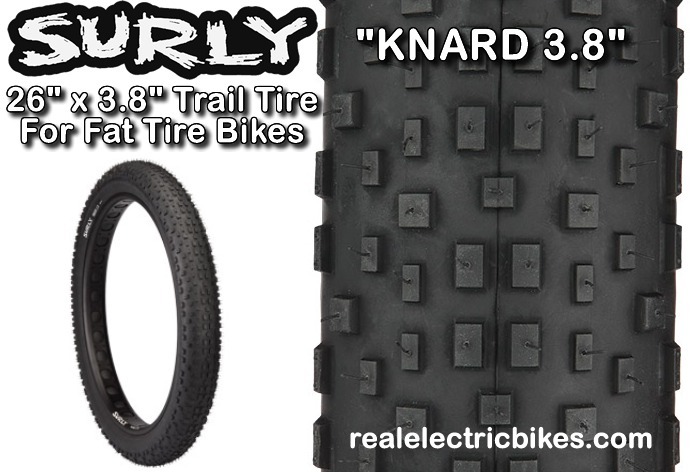 Can "freewheel" just as geared brushless motors, so riders can ride the bike without the power assist or if the battery is dead, but this may create minimal extra "drag" or resistance when pedaling. 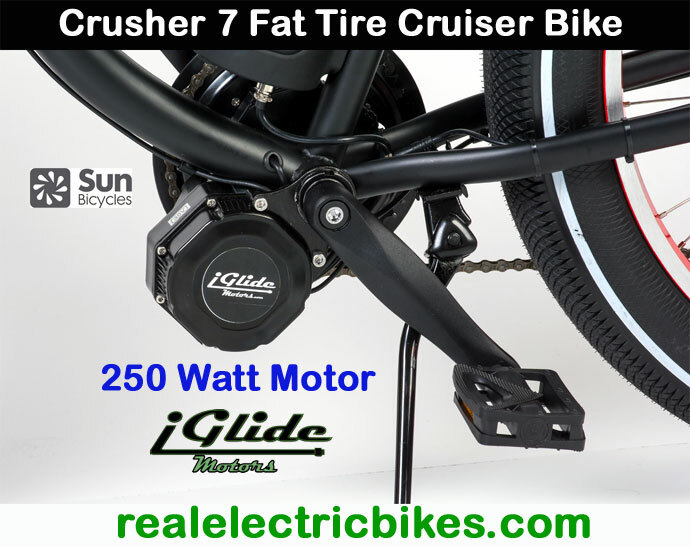 All of our electric assist e-bikes come with top quality components including high efficiency brushless geared or direct drive DC motors in 33 Volt, 36 Volt or 48 Volt configurations. 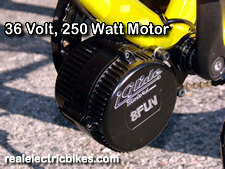 We offer e-bikes with multiple DC electric motor power levels: 250 Watts, 300 Watts, 500 Watts, 750 Watts and 1,000 Watts. 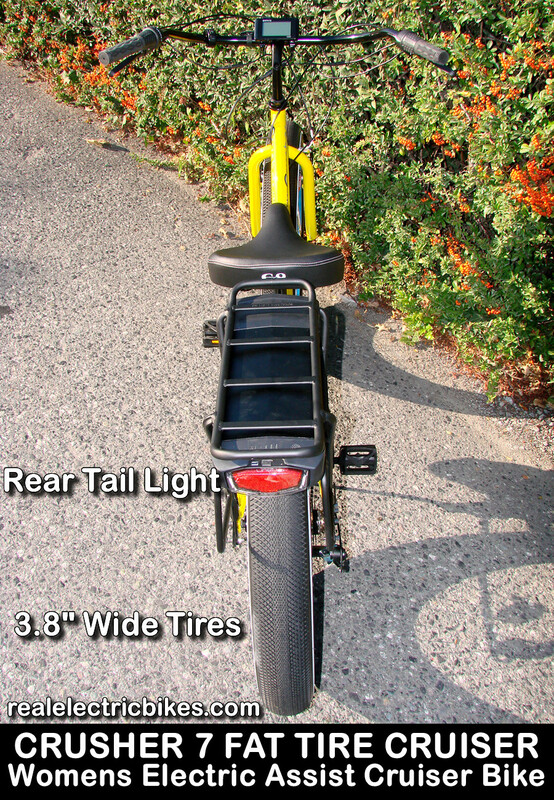 All our electric assist bikes come equipped with lightweight, powerful lithium ion battery packs and fast chargers. 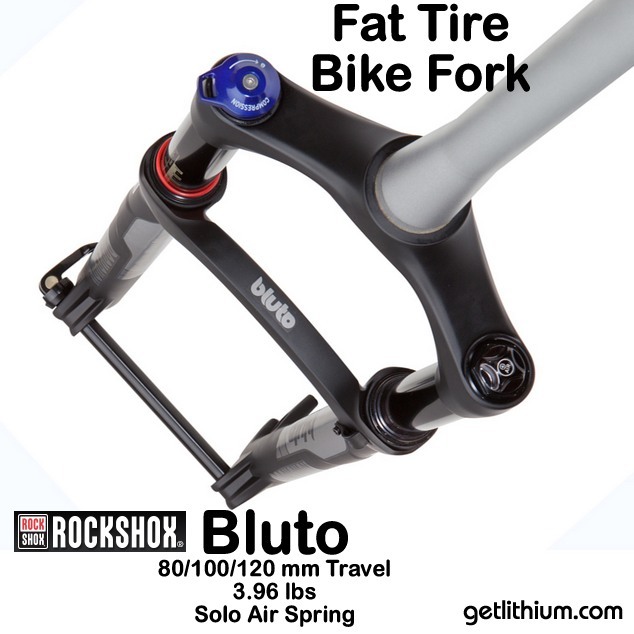 Electric assist bicycles from Sun Bicycles are some of the best engineered bikes on the market offering a style and options for everyone from the commuter cyclist to off-road mountain bike crowd. 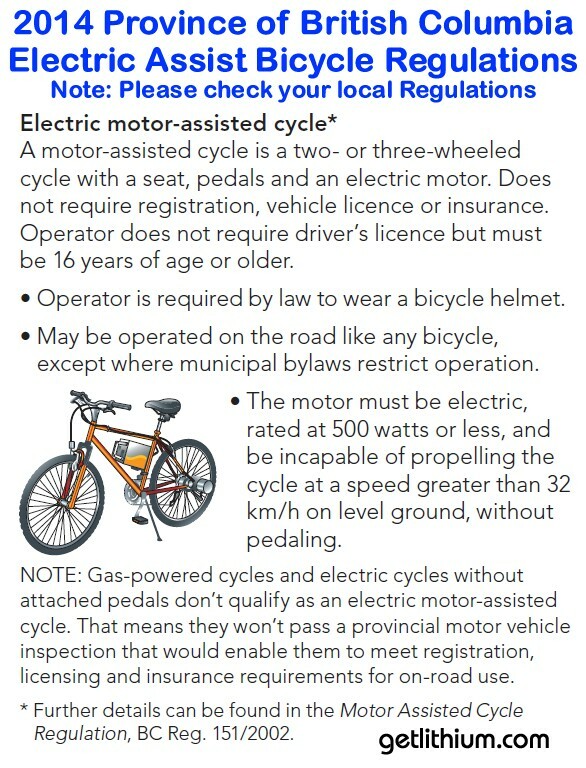 Electric pedal assist bicycles and e-bikes by Giant Bicycles, Origin 8 Bicycles and Sun Bicycles with 36 Volt and 48 Volt lithium ion batteries for sale all across Canada including Toronto, Montreal, Calgary, Ottawa, Edmonton, Mississauga, Winnipeg, Vancouver, Brampton, Hamilton, Quebec City, Surrey, Langley, Laval, Halifax, London, Markham, Vaughan, Gatineau, Longeil, Burnaby, Saskatoon, Kitchener, Windsor, Regina, Richmond, Richmond Hill, Oakville, Burlington, Sudbury, Sherbrooke, Oshawa, Barrie, Kingston, Cambridge, Coquitlam, Whitby, Guelph, Kelowna, Saanich, Victoria, Nanaimo, Thunder Bay, St. John's, Red Deer, Kamloops, Fort MacMurray, Fredericton, Grande Prairie, North Bay, Whistler, Prince George, Pickering, North Vancouver, Aurora, Shawinigan, Moncton, Saint John, Lethbridge & more. Electric beach cruiser bicycles, electric assist mountain bikes, electric assist commuter/ city/ road bikes, electric assist fat tire mountain and cruiser bicycles, electric assist comfort bicycles, electric assist folding hing bikes and electric assist 20", 26", 27.5" and 29" wheel bicycles.